This is all that I have received. Please call me with questions and/or concerns. In lieu of flowers, we are asking that all contributions go to the Parkinson Foundation. Contact information to be provided on Saturday. Word has been received with the passing of Delta Golden Wings member retired Delta Pilot Captain Robert Agustus Irvin. 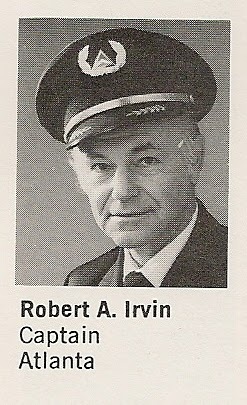 Captain Irvin joined Delta Air Lines 10-02-1951 and was based Atlanta. Our records indicate his date of birth as May 12, 1921 and that he was 93 years of age at the time of his passing. Captain Irvin had struggled with the effects of Parkinson’s disease for many years. He was widowed in July 2009 with the passing of his wife and care giver Sara Lacy ‘Sally’ Irvin.....her obituary appears below. 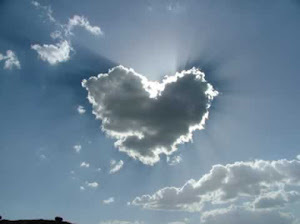 Online condolences for the family may be shared at the funeral home website but to date services have not been posted. Sara Lacy Irvin (Sally) died July 31, 2009, from non-smokers lung cancer. She was born in Dothan, Al, graduated from Albany High School, and earned a degree in Interior Design from GA State University. In 1976, she married Robert Irvin, a Delta pilot. They enjoyed their summer retreat on Lake Allatoona, where Mrs. Irvin waterskied into her early 80's. She and husband, Bob, traveled often thoughout the U.S., Europe, and the Hawaiian Islands. Mrs. Irvin had three children from a previous marriage; Bill Davis and wife, Bonnie, of Martinez, GA, Michael Davis of Atlanta, and Jennifer Powell and husband, Brian, of Charlotte, NC. Mrs. Irvin was preceded in death by her parents, George Clarence Lacy and Alice Harris Lacy, and her brother, George Lacy, Jr. In addition to her husband, Mrs. Irvin is survived by his son, Rob, and two grandchildren, William Davis of Marietta, and Lacy Powell of Charlotte, NC. Mr. and Mrs. Irvin were members of Roswell Street Baptist Church in Marietta for many years. In addition to living in Marietta, Mrs. Irvin lived in Albany and College Park. Capt Bob Irvin passed away 16 June. Will send final plans when I receive them. Bob was 94 years old, one of our oldest and had been living with a severe disability for years.